From Zimbabwe’s first diagnosed case of HIV/AIDS in 1985 until 1997, the country’s health situation became increasingly dire: At the disease’s peak, 29% of the population was infected. Since then, Zimbabwe has made significant strides in the fight against HIV/AIDS. HIV prevalence has been reduced to 16% (2015 estimate) – 1.6 million people. Now the nation is striving to achieve the UN’s 90/90/90 goals: 90% of people living with HIV know their status, 90% of people diagnosed HIV positive are on sustained antiretroviral treatment (ART), and 90% of those on ART have an undetectable viral load. By 2012, the percentage of Zimbabweans living with HIV who knew their status was estimated to be 66%, and of those, ART coverage was at 55%. Viral load test availability was extremely low in 2015, but the 2016 figures are expected to increase dramatically thanks to the newly established viral load testing program. Developed with APHL’s support, six provincial super-laboratories now have the infrastructure, equipment, personnel and supply chain support to perform routine viral load testing. 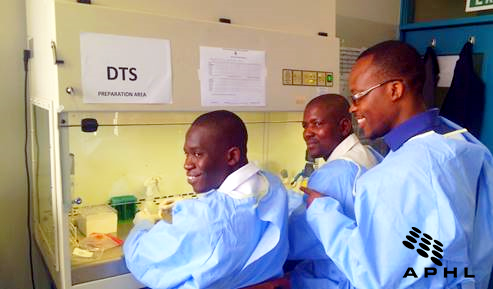 Working in collaboration with Zimbabwe’s Ministry of Health and National Microbiology Reference Laboratory, APHL – the only PEPFAR laboratory partner in the country – has adopted a comprehensive approach to improving testing quality, one that leads to better diagnosis and treatment. The association is developing external quality assurance systems to verify test results. Already half of Zimbabwe’s 1,848 testing sites are using this method successfully to ensure the quality of laboratory services. APHL has proved critical in the establishment of quality point-of-care testing, which has meant quicker and more reliable test results. This work has been implemented primarily by Shanette Nixon, APHL consultant, and Goodridge Mguni, APHL’s external quality assurance manager for Zimbabwe. Together, they have built capacity at the National Microbiology Reference Laboratory to produce dried tube specimen panels – which can be preserved for up to a year without refrigeration – for health testing sites to ensure quality assurance and control. Given the country’s warm climate, these panels could be key to achieving universal access to quality HIV testing in Zimbabwe. However, they require new training for rapid diagnostic HIV testers who already shoulder many tasks. That is why Shanette and Goodridge work so hard to train as many people as possible. Below Shanette and Goodridge talk about their work. Insufficient human and financial resources are huge challenges. There is a massive brain-drain here in Zimbabwe, so it can be difficult to find staff. Yes, it can make the work very hard. Many folks say that point-of-care testing eliminates the barriers to HIV treatment in one step. The quick results are a huge advantage and the tests can be highly accurate—but only if properly trained people perform the tests. I agree, but at least the use of lay counsellors in point-of-care testing has helped to mitigate the training issue a bit. 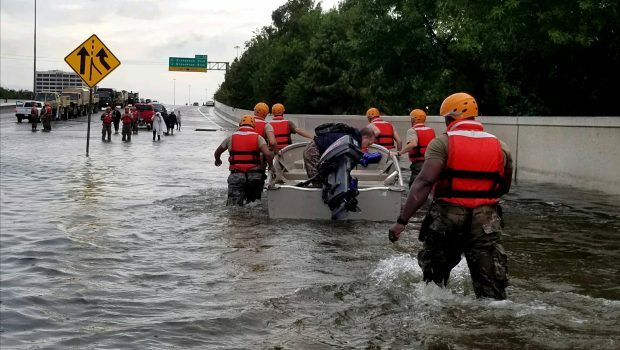 Financially, the Global Fund, PEPFAR and other donor organizations continue to assist, but the country will need resources beyond those external ones. Another challenge is poor sample transportation networks. The country is working on an integrated network which will improve movement of test samples. There has also been a lack of effective coordination between stakeholders, which has led to a lot of overlapping projects. Partners such as APHL, though, have supported Ministry of Health efforts to keep all implementing partners engaged to avoid duplicated efforts. 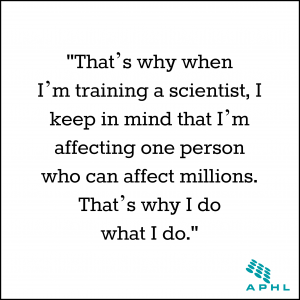 For example, the technical working group, which APHL has actively participated in, allows key stakeholders to communicate regularly. In the past, I witnessed patients receiving wrong HIV results and it’s a terrible sight—families can break apart. I want to keep those scenarios in the past. That’s why I feel so blessed to go to each site, talk to scientists as my brothers and show them how we can succeed together. That one-on-one time makes all the difference. To be clear, all of our teammates see the importance of accurate results, but it can take some doing to get people comfortable with the new steps to take and the changes they involve. I’ve seen that, too. That’s why when I’m training a scientist, I keep in mind that I’m affecting one person who can affect millions. That’s why I do what I do. Every time I see that lightbulb go off in someone’s head, I’m thrilled. Yes, it feels like a triumph when someone truly understands, and it’s extra special when I get comments from people doing the hard work in the field. In Masvingo, nurses told me that the program satisfies clients and motivates testers. “Keep it up!” they said. And in Manicaland, a nurse said, “Every health center should participate to enhance competence among testers.” That felt so good to hear, and I’m trying to make that happen. I’m excited that dried tube specimen is in 925 sites, halfway to our goal! And once the Ministry gives us the go-ahead to train scientists in the remaining provinces, everyone will have full access no matter where they are! What are your thoughts when you look to the future? I sometimes worry that access to testing, no matter how high quality, isn’t enough. Since antiretroviral medication is for life, there has to be real follow-through for decades. I know you’ve preached sustainability, Shanette, so I’m always looking for ways to sustain the dried tube specimen approach if the current funding disappears. Well we hope that never happens, but I’m glad you’re trying to be sustainable! Creating institutional memory and standardizing testing practices at the labs is so important. Plus, your easy way with people helps motivate them to keep up the techniques you’re teaching them. And I’ve seen how eager they are to ensure that you succeed. Thank you, I hope so! I’m just glad to have an impact. When we reach the UN’s 90/90/90 goal, oh, will I celebrate!